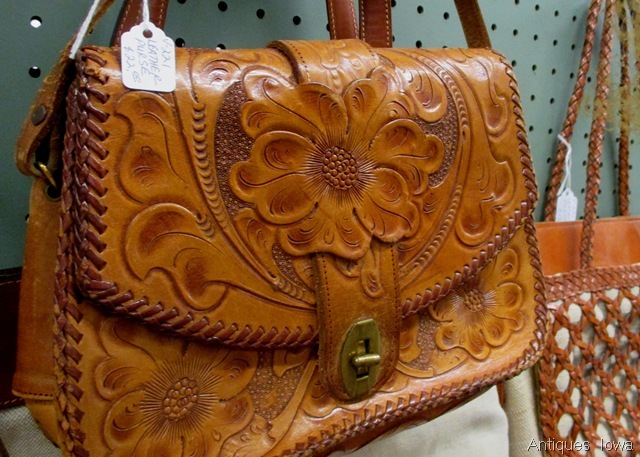 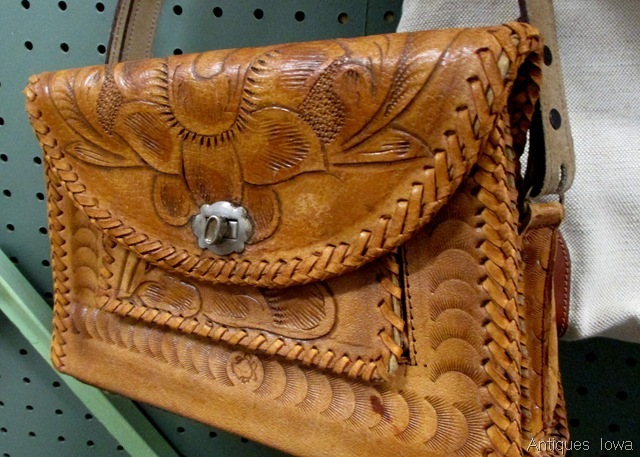 Many of our booths have a smattering of vintage style – purses, jewelry and hats can be found throughout the mall. 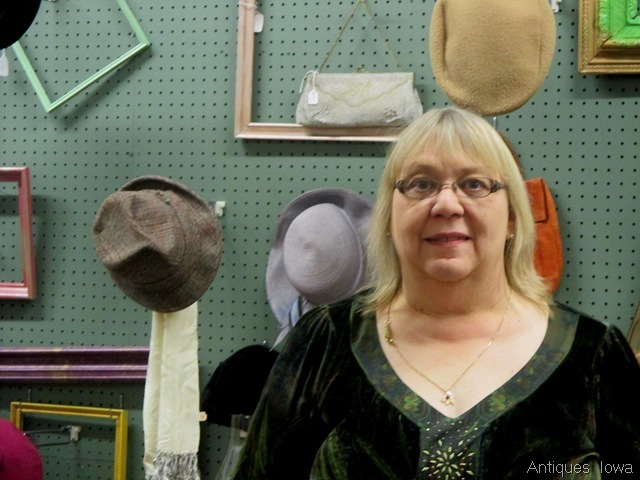 And for Antiques Iowa dealer Ronda Swyter, those items are some of her favorites to sell. 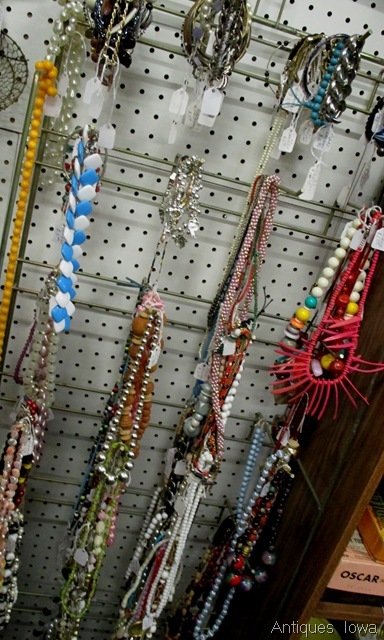 Ronda has been collecting for years. 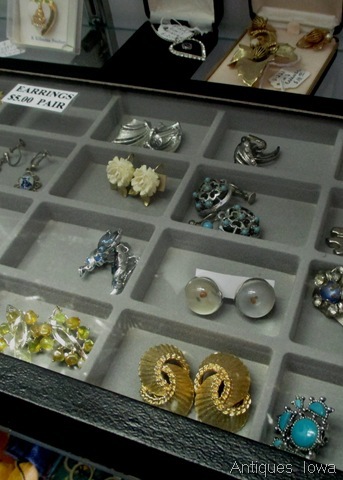 Her parents always had some sort of collection, and she has carried on the tradition. 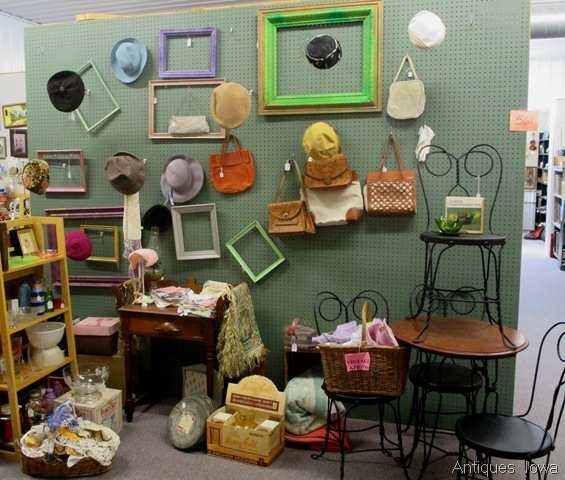 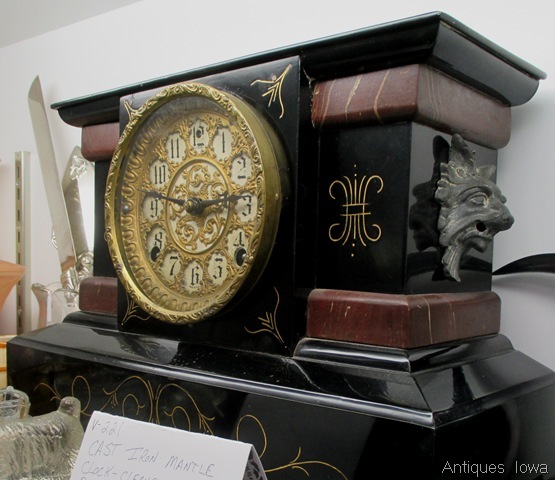 As a vendor at Antiques Iowa for more than 8 years, Ronda has figured out what others are collecting as well. 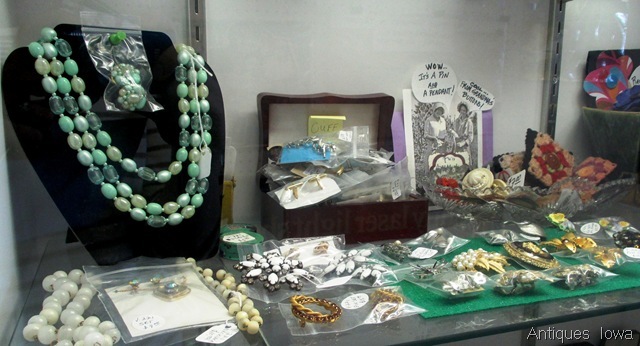 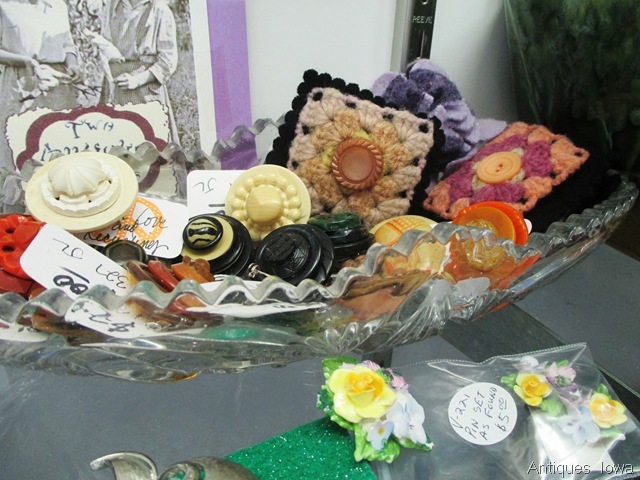 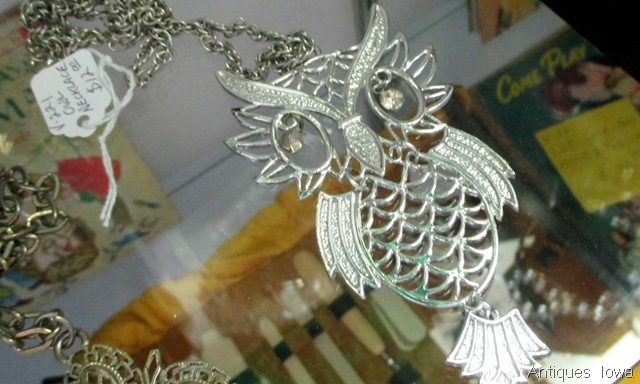 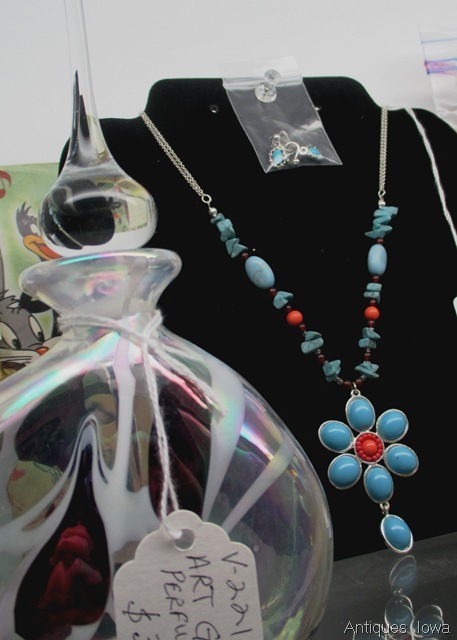 In addition to earrings, Ronda’s booths and cases feature vintage necklaces, bracelets, hats and purses. 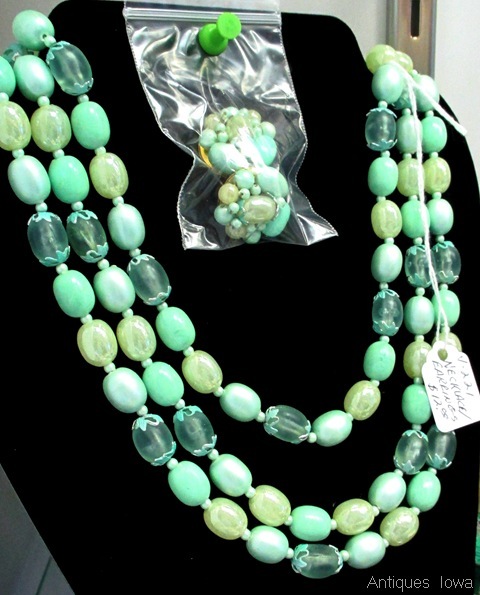 If you’d rather dress your home in vintage and antiques (instead of dressing yourself that way) Ronda has something for you, too. 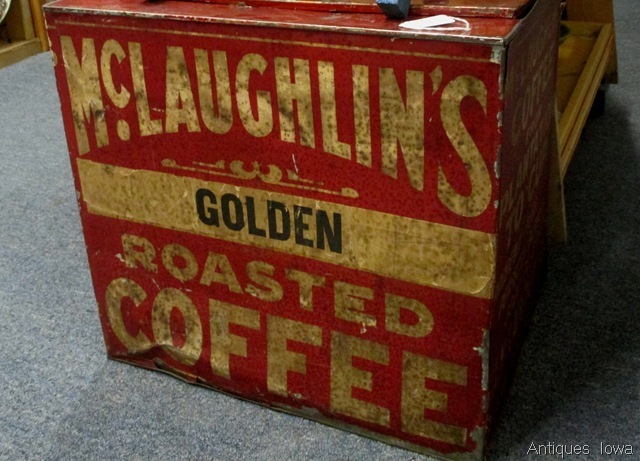 A brightly colored coffee tin…. 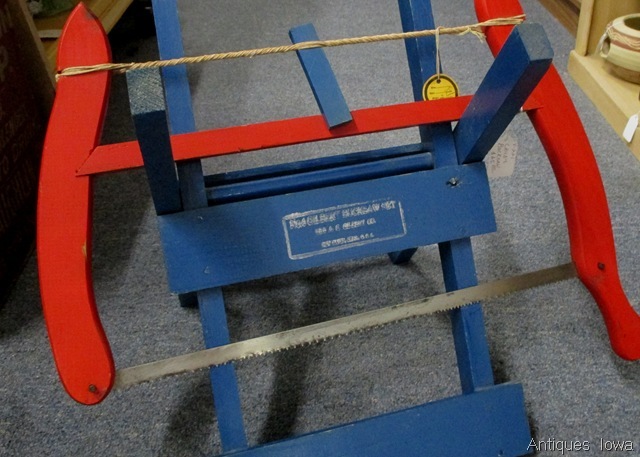 Or a children’s bucksaw and stand… There is truly something for everyone!